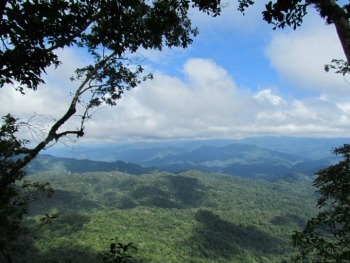 The land adjacent to Cerro Amboro were officially declared a protected area on the 23rd December 1973. 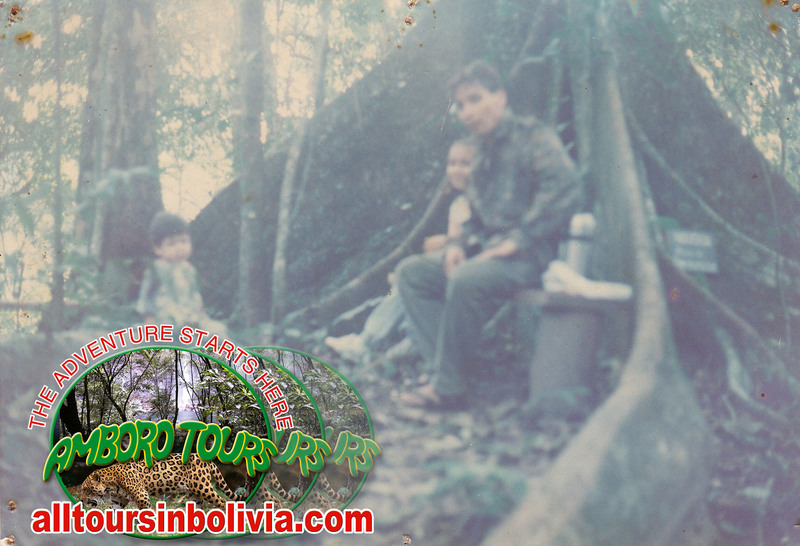 But it was not until August 1984 that was legally given the status of National park (ANP) and received some protection from immigrants campesinos, hunters and logging companies. - What To Bring ....? 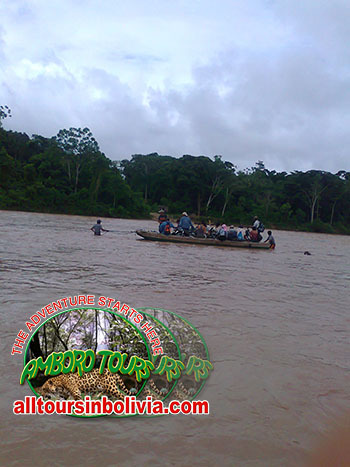 At 8 A.M. we pass by your hotel to pick you up and start traveling in a vehicle to a small town near to Amboro Park. 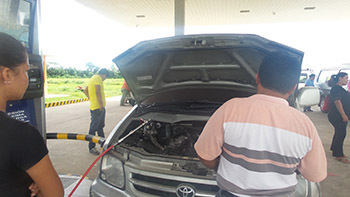 The first part of the driving is approximately 100 or 120 km. On the way we pass several small towns in one of these smalls towns is the meeting point to change to a 4x4 vehicle. Some official entry points are more complicated than others. 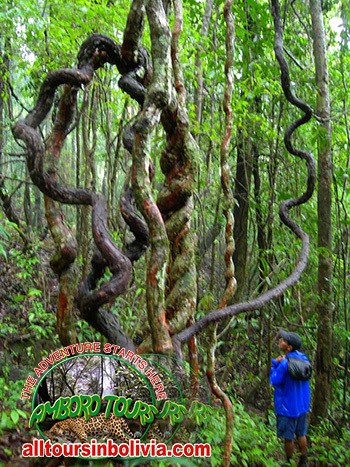 But all are located within 150 km from Santa Cruz city. What the visitor are looking to see and experience is always the most important and we will try to please them, according to the real possibilities of the moment. 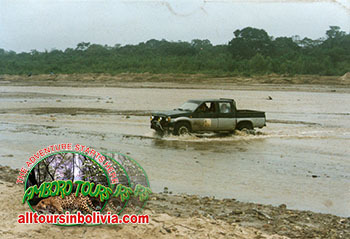 In dry season starting in March or April through November the 4x4 vehicle gets all the way to the Red Line. During the raining season it could change. Red Line is an opened path. The red line or Linea Roja separates the communities from the central part of the park. 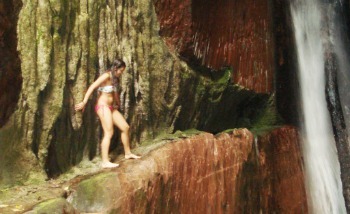 Once inside the Linea Roja is prohibited human settlements and / or any activity or means that harm the nature. 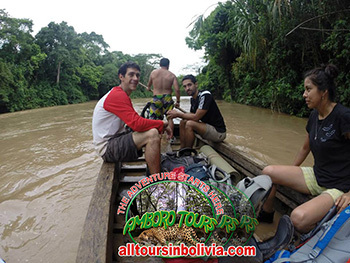 The tours for one day or two days to some parts of Amboro sometimes does not include visits to waterfalls or natural pools in the forest, but during the trekking is possible to live a great experience in the Amazon with a real rain forest that contains a immense variety of living beings. To experience this very special environment we need to be with the utmost silence and peace of mind possible so we can have our main´s senses alerts such as the Sound, Smell and Sight. After this wonderful and unforgettable visit to Amboro National Park, we walk back to where we left the vehicle. and then continue to the city of Santa Cruz where we will leave you at your hotel. End of our services. Thanks. Please Read The Terms and Conditions of our Services. Adverse climatology conditions or social unrest can change the original itinerary. At 07:30 or 8 A.M. we pass by your hotel to pick you up and start traveling in a vehicle to a small town near to Amboro Park. This trip is on a paved road with direction northhwest from the city of Santa Cruz. The first part of driving is of approximately 100 or 120 km. On the way we pass several small towns. The next population on our way is Montero. It is the biggest city near to Santa Cruz. Montero has the largest Sugar Industry in Bolivia. Known as "El Ingenio Guabira". 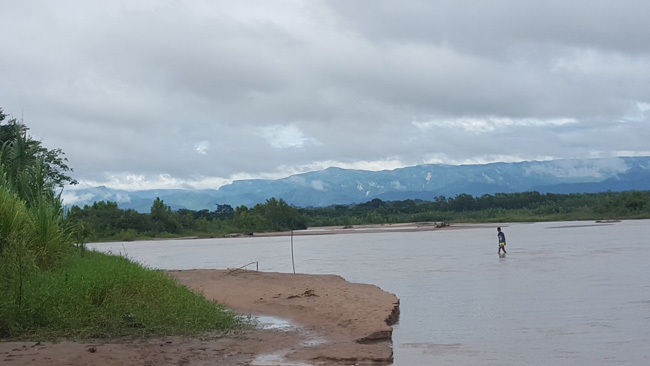 Once back on the highway Far on the left side horizon, we can we can appreciate de mountains of Amboro National park nature reserve of over half a million hectares, Amazon jungle, which act as a magnet to attract rain. There, will be waiting for us the rest of the team that will make this trip possible. Amboro park on the North side has five main entry points. 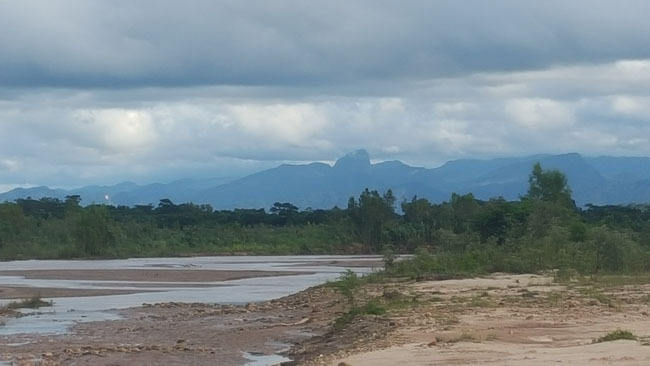 These are; Mataracu, La Chonta, Macuñucu,Saguayo and Ichilo. Some official entry points are more complicated than others. 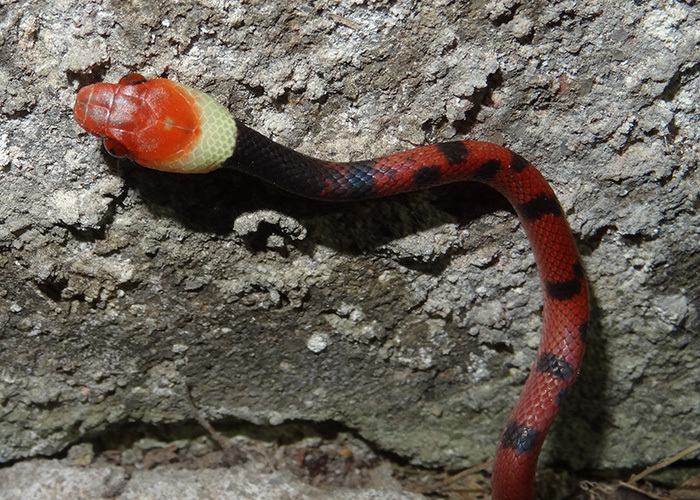 But all are located at about the same distance from the city of Santa Cruz. 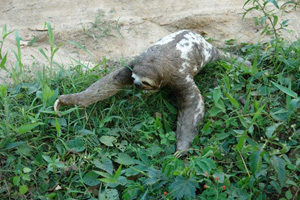 The closer would be Saguayo and La Chonta the farther is Ichilo. From the meeting point with the rest of the team, we will begin the another part of this trip in a 4x4 vehicle on dirt or asphalt roads. 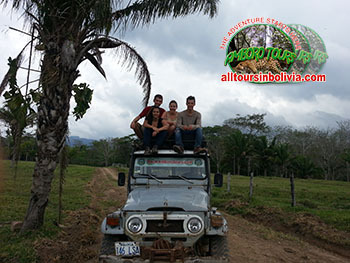 This second part of the trip in a 4x4 or on a cart will last about 40 minutes or 1 1/2 hours depending on how far is possible to get in the 4x4 and which entry point we are driving to. 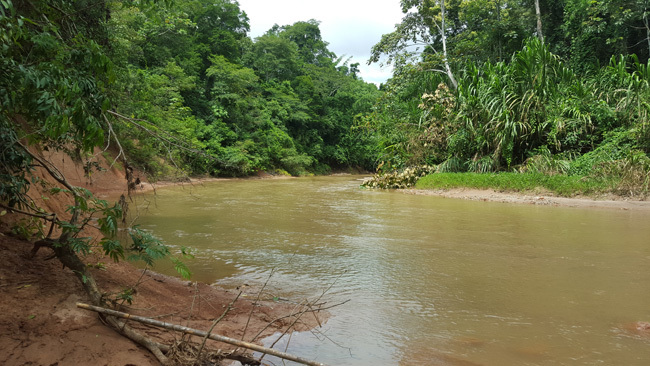 Usually the first river to cross is Surutu. Which is the border of the park. The Red Line is an open path with machetes, in parts it is visible to the naked eye. 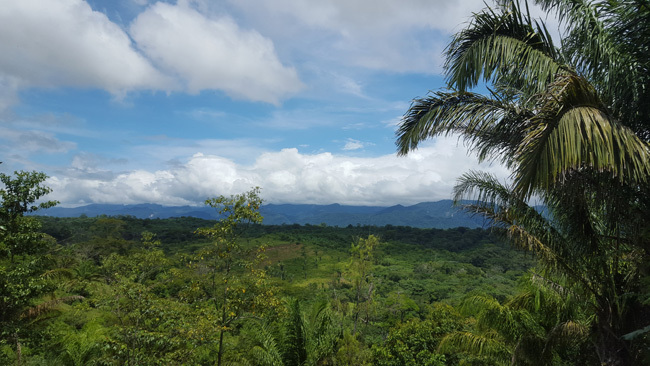 The red line or Linea Roja, separates the communities from the central part of the park. And is prohibited human settlements and / or any activity or means that harm the nature. The exact point where the vehicle arrives will depend on road conditions at the time of the trip, which may vary due the season or to weather and other last minute factors. 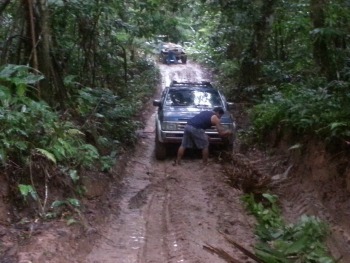 Usually the road for vehicles ends near the rangers´camp or close to the "Red Line." 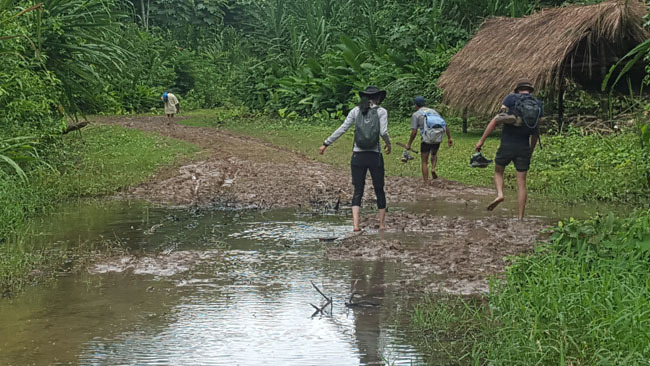 When this happens we may have to walk about 6 kms to get to the camping site in the jungle. The camp of the rangers is next to the "Red Line" and / or where the jungle begins. 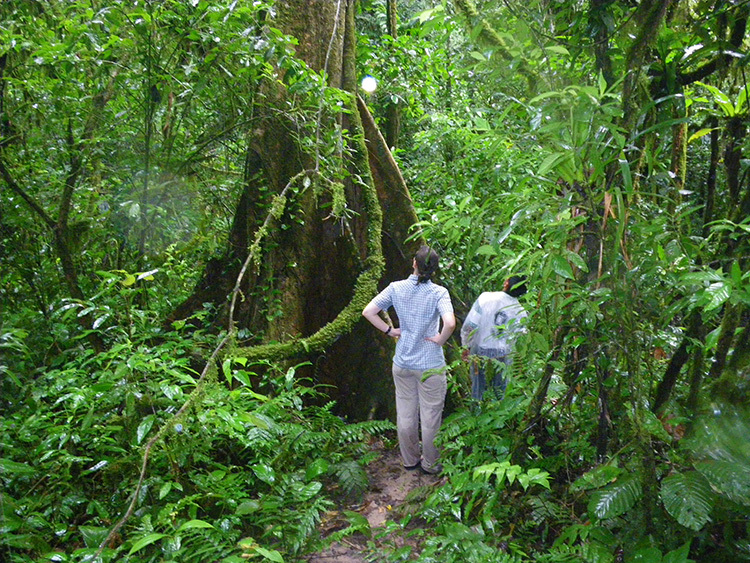 From here the trail penetrates more inside, into the virgin forest. 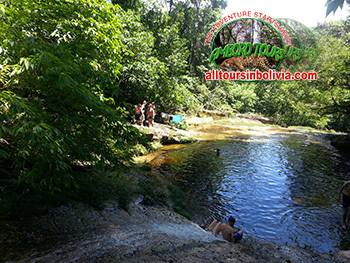 These trails generally go through natural pools of crystalline water, large and small waterfalls, streams and other beautiful and interesting places in the Bolivian Amazon. 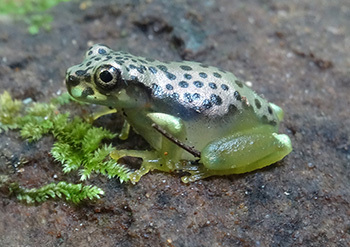 In the natural pools visitors can swim. 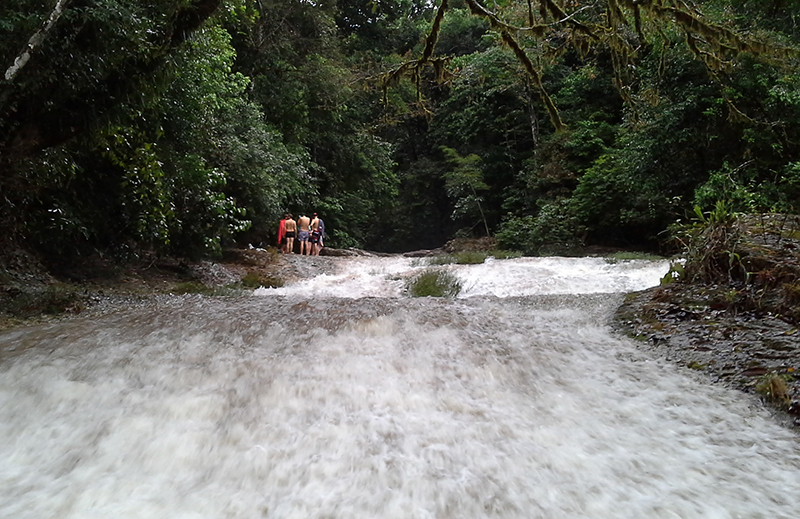 On the first day the trekking in the trails to the pools, streams or waterfall may last 1, 2 or 4 hours. This will depend on which trail you take once you get to the camping site. And of course on the arrival time. 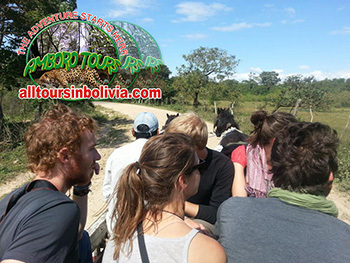 Once in the camiping site, if the visitor´s group prefers short walks it is also possible. 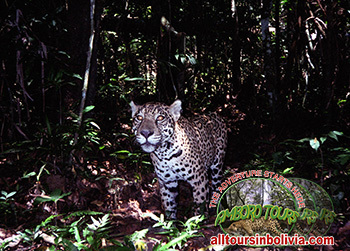 During this tour we will be assisted by a guide who will explain about the lush vegetation and wildlife of the park. Visitor´s questions about this environment are welcome. 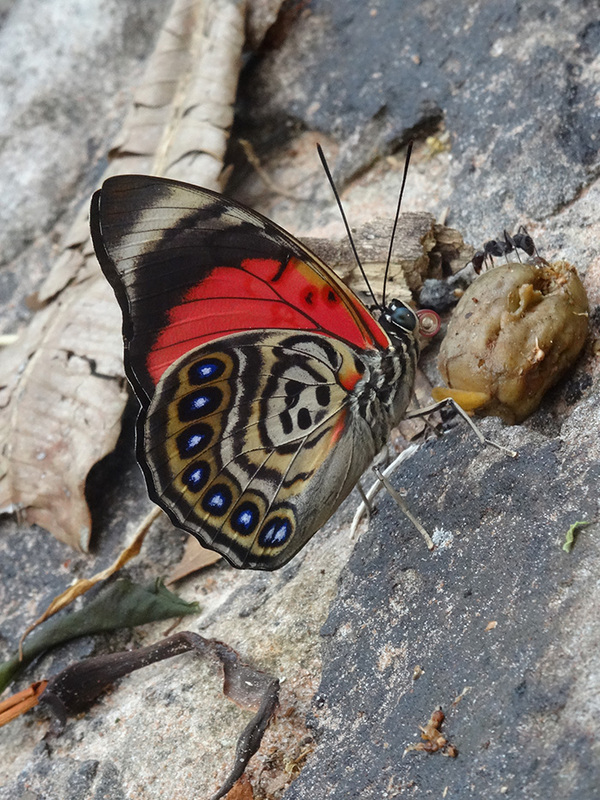 Despite the two-days trips to Amboro park is still short, taking into account the time needed to arrive and leave, it is possible to get an more easy overview of what this natural reserve. 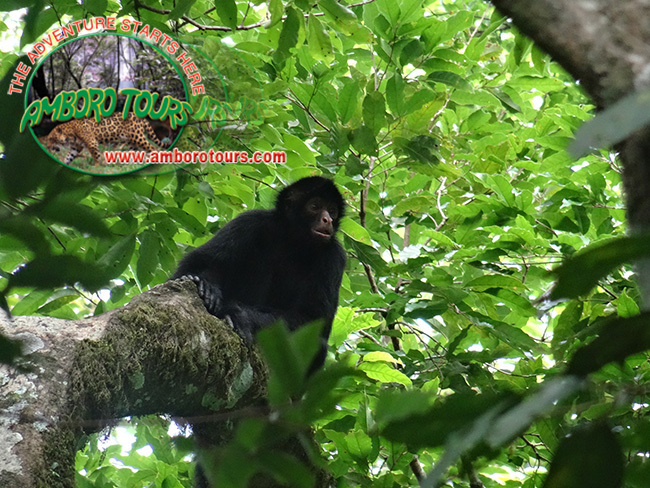 Although it is clear that Amboro Tours do not guarantee at any time, the observation of any trace or the sighting of any animal, the possibilities exist. 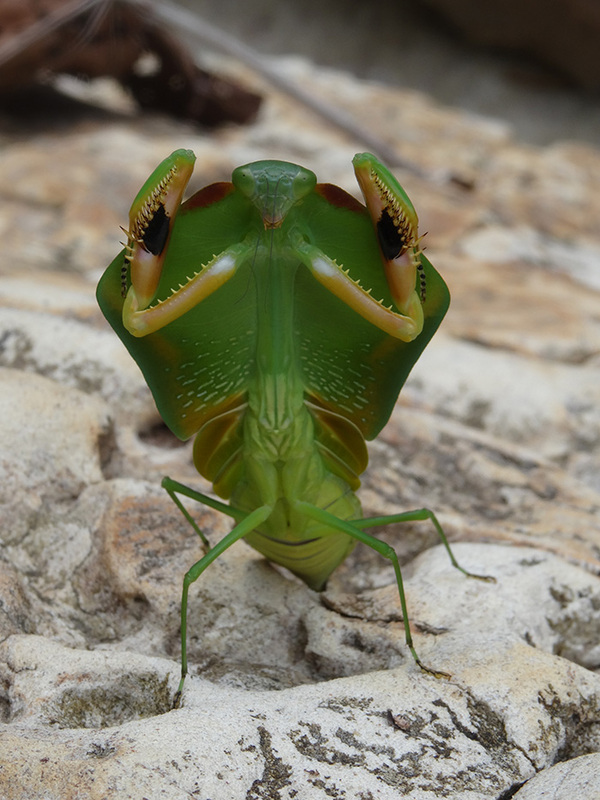 If we are "lucky" we may see more the one specie of monkey or even a jaguar. 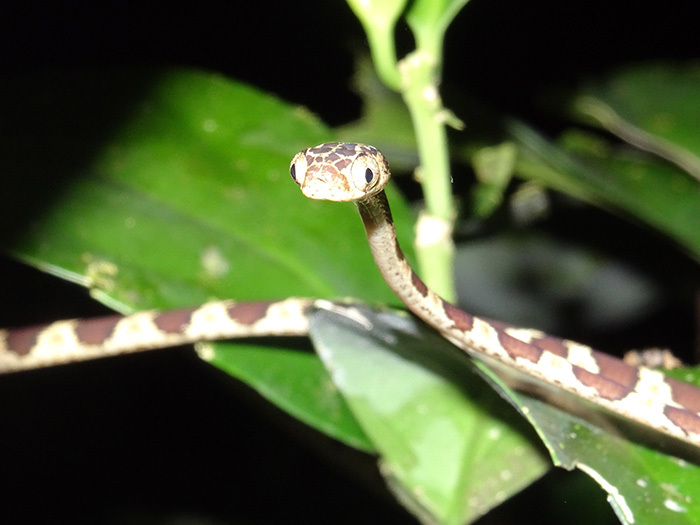 At night before or after dinner we will also have the opportunity (optional) for a short expedition to try observe some wildlife activity. Please remember this to the guide. In case of absence of sanitary facilities, ask the guide to dig a hole for you. Breakfast time is to be accorded the night before with the guide. After breakfast there is the option of a 4 or 5 hour long hike, having lunch on the way. 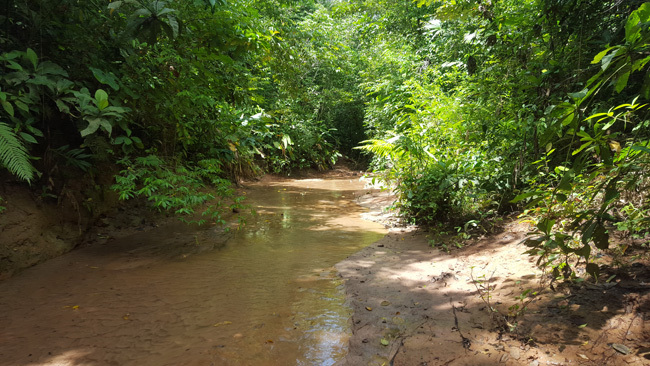 Where there are no hiking trails sometimes we use the streams. The type of hikes are usually within the red line. And almost always vary depending on the entry point we have chosen to enter . 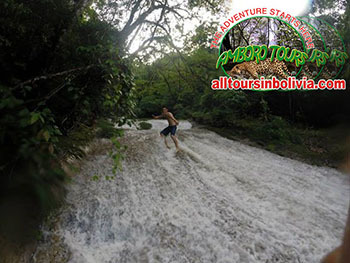 As this is a standard itinerary we do not specify with precision the trails. As mentioned before. In two-day trips is not guaranteed the observation of any animal, because they usually have no interest in been seen by humans. 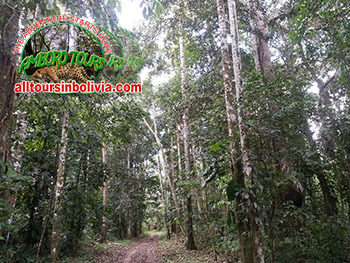 Two days is not a long time in this place for a visitor that appreciate it or do not have trouble getting so close in contact with nature, which may also involve, ticks, mosquitoes and other insects. This depends on the place you go and the time of the year. The encounter with the vehicle to take us back is usually the scheduled for 15:00 or 16:00 hours. The guide will let you know the time. We walk out to where we left the vehicle to return the on same way we came and then continue to the city of Santa Cruz where we will leave at the door of his hotel. At 07:30 or 8 A.M. we pass by your hotel to pick you up and start traveling in a vehicle to a small town near to Amboro Park. This trip is on a paved road with direction norththwest from the city of Santa Cruz. 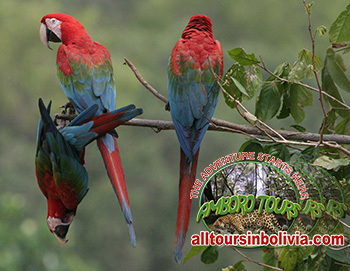 The idea is to start the day early and enjoy the sounds of the jungle and the fresh air or the Amazonia .In the early hours of the morning is when there is more activity of birds and animals. What you do this second and last day of this tour will be based on what we have done the day before. And the place where we have stayed overnight the night before and of course on the weather. 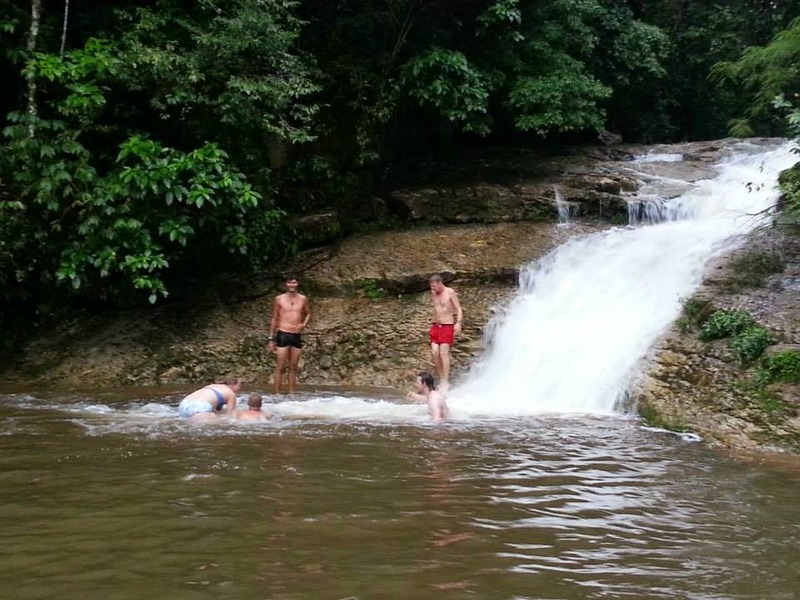 There is a circuit to a waterfall , natural pools and viewpoints of the surrounding jungle. To admire the impenetrable greenery which seems never to end. 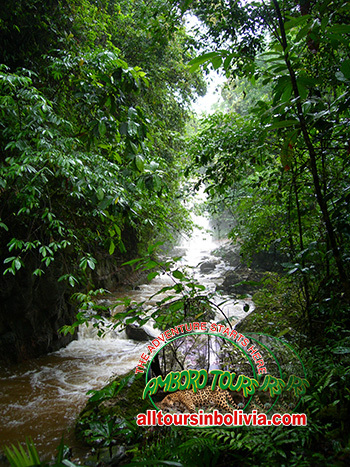 Also there is a circuit to a waterfall , natural pools and viewpoints of the surrounding jungle. To admire the impenetrable greenery which seems never to end. Where there are no hiking trails we use the streams. The type of hikes are usually within the red line. And almost always vary depending on the entry point we have chosen to enter . 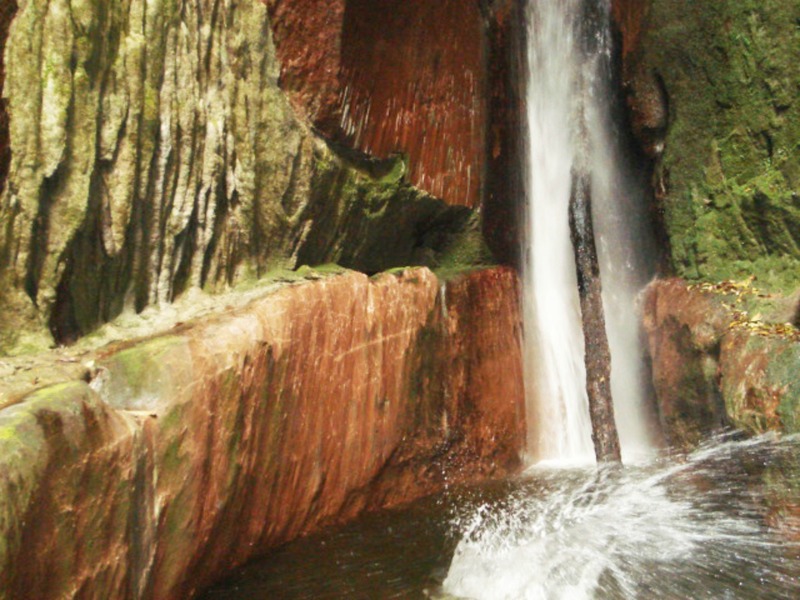 As this is a standard itinerary we do not specify with precision the trails. 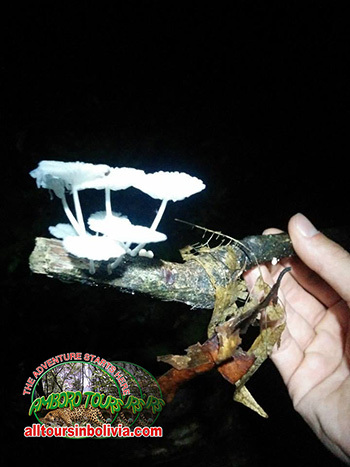 At night before or after dinner we will also have the opportunity (optional) for a short expedition to try observe some wild life activity. Please remember this to the guide. After breakfast, If you used any tent we must undo it. Making sure to pick up all the tent´s sticks. This last day we may also have the changes to visit new places. Although this will depend on how far we are from the reach of vehicle, or where we slept the last night, and on the weather conditions. 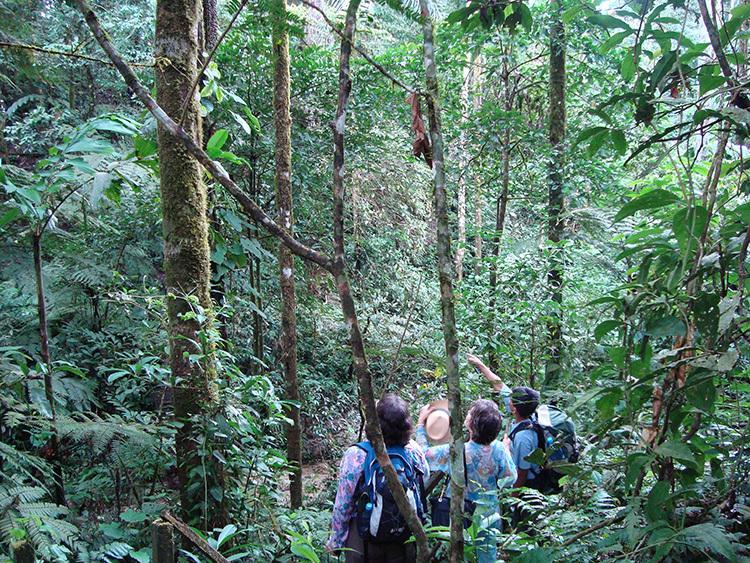 During all the hikes the guide will try to identify the sound of the jungle. 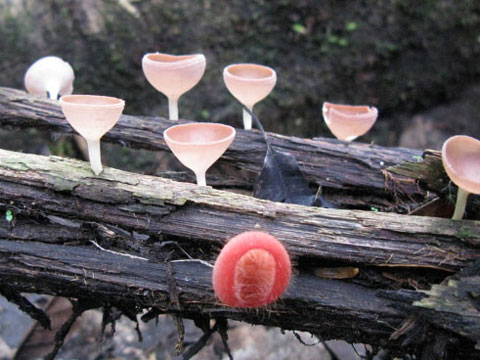 Helping you to interpret the Amazon. 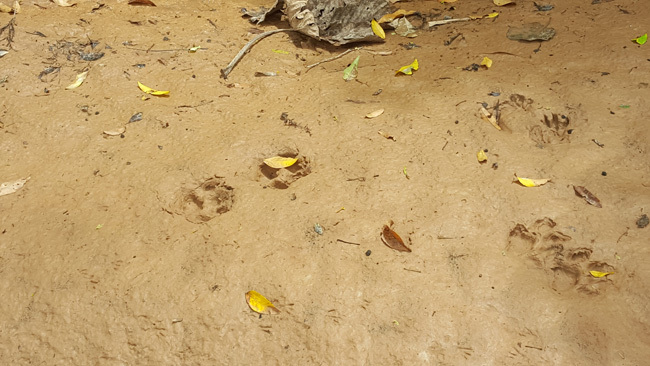 He also will talk to you about the foot prints of some mammals that you or he may find along the path. 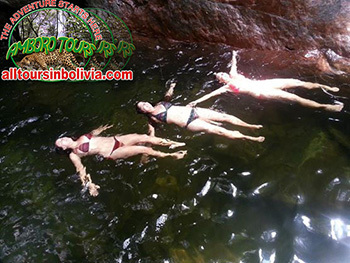 In orde to visit this place you need to be in a good physical conditions total trekking time. About 4 hours. 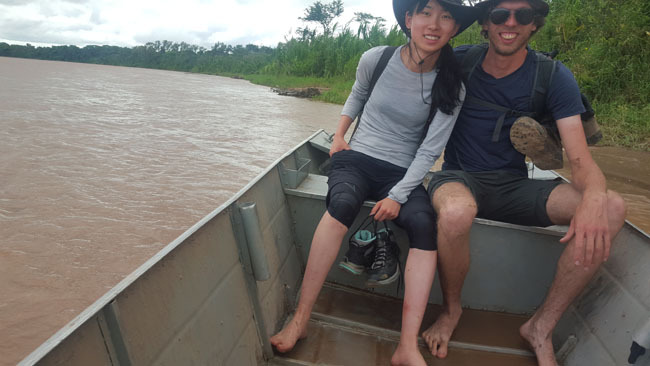 Although we do longer trips, three days maybe is enough in this place for a visitor that appreciate it or do not have trouble getting so close in contact with nature, which may also involve, ticks, mosquitoes and other insects. This depends on the place you go and the time of the year. 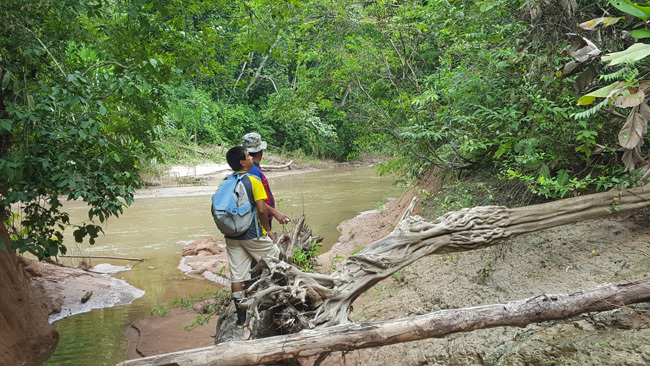 After this wonderful and unforgettable experience, we will walk back to the place where we left our vehicle in order to return to the city of Santa Cruz, where we will leave you at the entrance of your hotel. 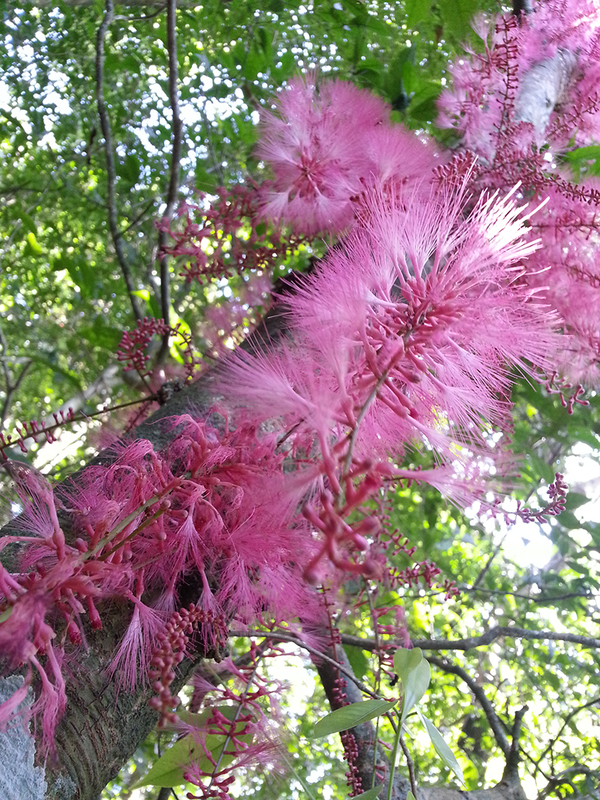 Flowers of Amboro National Park from Jmarcos Velasco S. on Vimeo. 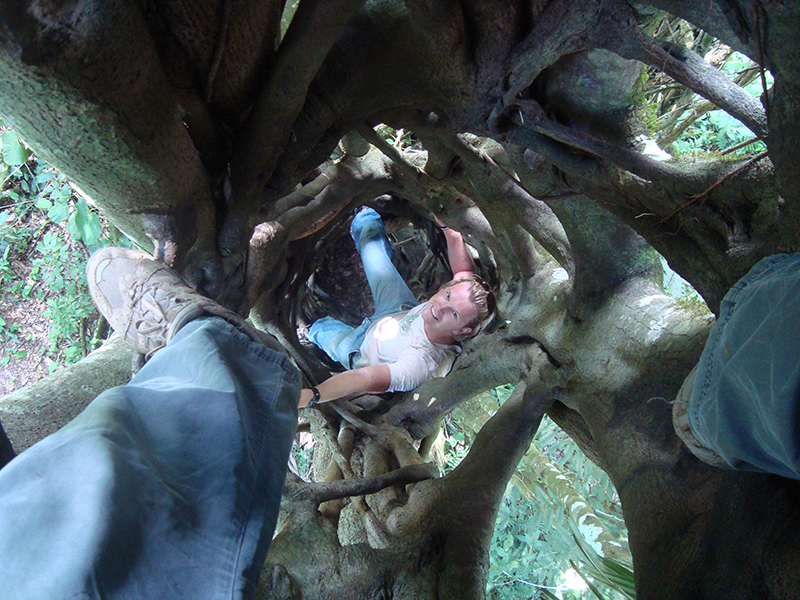 Very Inside Amboro National park from Jmarcos Velasco S. on Vimeo. 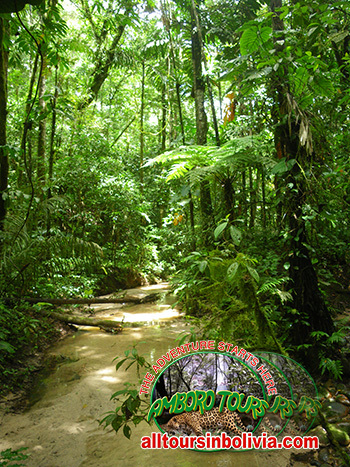 South Side; It is also possible to combine in one tour the South Side of Amboro ( Refugio Volcanes) with Samaipata ( Museum, Fuerte and / or Giant Ferns ). This can be done leaving the south side of Amboro after breakfast or after lunch. 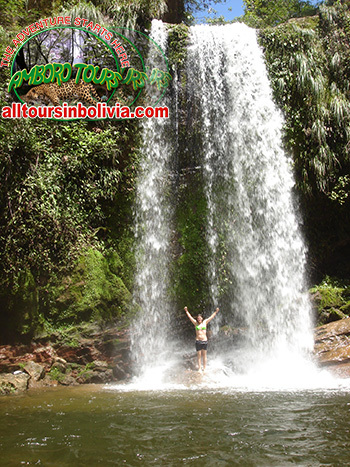 This would depend on the places you want to visit near by Samaipata and on the number of days available.